Managing investment portfolios requires time and know-how. It is easy to end up with accounts that are misaligned or underperforming. The Sterk Financial Services team has a specialized program designed to effectively manage your investments through every phase of your life. We will work with you to analyze what matters most to you, clearly defining your goals and objectives. Our team of planners will craft a strategy to improve your portfolio and to educate you about solutions that fit. 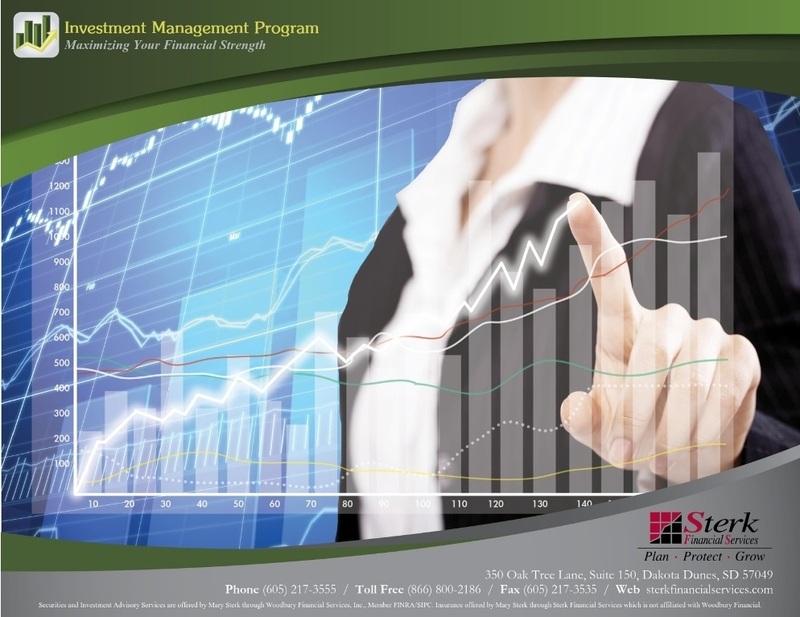 We help you implement and proactively monitor your portfolio to maximize your financial strength. All of this is fancy talk for a very simple goal - to help you protect and grow your money so you have the best chance of achieving the life you want. From saving for your dream home to enjoying a luxurious retirement – we can help. 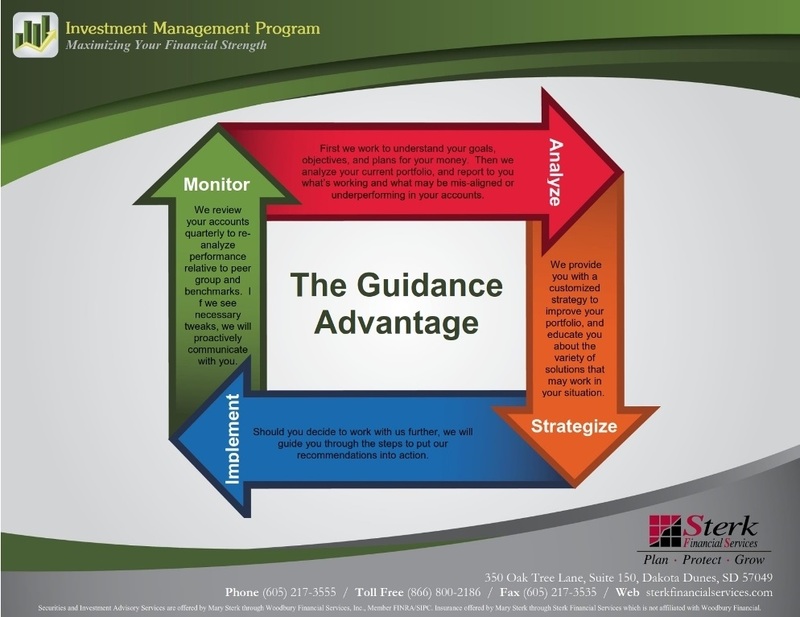 Call us to learn how we take the complexity and uncertainty out of investment management, and help create clarity and confidence as you move forward. All investing involves risk including the potential loss of principal. No investment strategy can guarantee a profit or protect against loss in periods of declining values. Past performance is no guarantee of future results. Please note that individual situations can vary and some strategies may not be suitable for all investors. Therefore, the information presented here should only be relied upon when coordinated with individual professional advice.